We ship whole food supplements worldwide! Here at Diverse Health Services, we are always educating ourselves so that we can continue to offer you the best health care services in the Metro Detroit area. We differ from conventional medicine in the way that we are proactive when it comes to improving your health and reducing the risk of pain and illness. Traditional medicine only focuses on attempting to treat disease once it actually occurs. Dr. R.E. Tent, D.C., N.D., Ph.D and Dr. Jeff Senechal, D.C., CFMP are extremely knowledgeable in vitamins and minerals, and are always researching new health and nutritional studies. With the assistance of technology, we have become a practice that reaches across the world, helping patients in Australia, England, Sri Lanka, China, and beyond! Our appointments are performed via SKYPE and we've found this is the best way to reach and communicate with our patients who aren't able to make it to our Novi office. We believe in educating our patients, and both of our doctors hold free public lectures throughout the year to do so. Our lectures on healthy standard process supplements can also be found on YouTube. Note: You must be a patient to see Standard Process products. Achieve optimal health and wellness through proper nutrition with Standard Process nutritional supplements. Since 1929, Standard Process has been dedicated to the field of nutritional supplements and the whole food philosophy introduced by Dr. Royal Lee. Become a patient with Diverse Health Services and discover who resilient your body can be when given the proper nutrition found in Standard Process supplements. The Standard Process time-tested formulas with whole food ingredients provide safe, effective, high-quality nutritional support that promote a better quality of life. Below is a sampling of the different chiropractic and nutritional services we offer in our Novi office. Spinal and Chiropractic Adjustments are also called spinal manipulations. The goal of chiropractic adjustment is to relieve pain and improve your body's physical function. Our Doctors provide the finest chiropractic adjustments and wellness care to our patients. We provide advanced spinal correction utilizing "state of the art" chiropractic techniques. As a Doctor of Chiropractic, Dr. R.E. Tent, D.C., N.D., Ph.D has 35 years of training and experience in spinal adjustment. Contact Reflex Analysis involves the system of fuses or breaker switches called contact reflexes. Contact Reflexes are so unique that we are able to monitor the function of each body system and/or organs merely by contacting these electrical contact points and testing them by a new muscle testing technique. Applied Trophology is a unique method of testing your body's needs or allergy to foods, chemicals, and nutrition supplementation, with a desire to correct an imbalance in body cell chemistry. The highest form of nutrition is used to speed up healing and recovery of the body to optimum health. Nutritional Assessment recommendations on nutritional supplements and healthy food choices enhance our patient's return to optimal health. 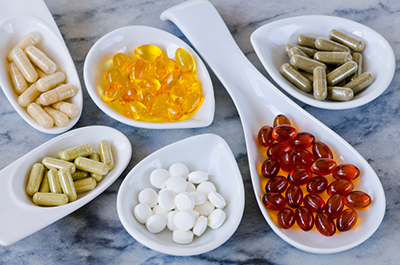 Do you know which supplements and vitamins are good for you? Dr. R.E. Tent, D.C., N.D., Ph.D and Dr. Jeff Senechal, D.C., CFMP can provide a structured nutritional program based on your individual needs. Lifestyle Advice is helpful to "coach" our patients on certain activities they should avoid or do differently to avoid aggravating their particular health challenge. Our goal is to help every patient achieve a fulfilling and happy lifestyle full of the activities they enjoy most. We recognize that each our patient is a whole person, and help them reach true health and wellness is a collaborate effort between our professionals and our patients. Lectures -- Dr. R.E. Tent, D.C., N.D., Ph.D lectures for hundreds of people interested in alternative health. His first audiotape, "Kill the Cravings" has already made it around the world! His lectures continue three times every year and his past lectures are available on DVD. Dr. Jeff Senechal, D.C., CFMP also presents lectures on various topics. All lectures can be found on the Diverse Health Services channel on YouTube. If you're interested in finding out which Standard Process supplements would be right for you, contact us today to learn more! Diverse Health Services PLLC is a leading provider of Whole Food Supplements that are shipped worldwide.